Don Cummins is passionate about agriculture and flying, which inspires the Air Data Solutions (ADS) President, to deliver real workable data from aerial photography missions. 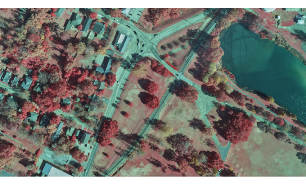 The company began by providing simple aerial photography to farmers and land owners for property management and has developed into offering more sophisticated data acquisition services. Don understands that improving image quality and processing efficiency, by investing in aerial systems, is key to growing his business and opening up opportunities previously out of reach. Read the full story here. GIM International is the independent and high-quality information source for everything the global geomatics industry has to offer, online and offline! We provide information about all the major topics in the business, such as mapping & surveying, geodesy, cartography, Lidar, GIS, photogrammetry, UAV/UAS, GNSS, remote sensing and more. The Articles section provides deeper insights, including interviews with geospatial experts, columns and topical overviews related to the geomatics industry. The print edition is distributed to thousands of professionals in 170 countries worldwide, every month. Each edition is likewise announced to thousands of our digital readers when published on the magazine page. Our Companies Directory is a large database which contains over 3,000 geospatial companies, and every organisation has the possibility to publish their geomatics job vacancies in our special Jobs section. On top of that, GIM International represents a high-profile promotional platform for every GIS conference, UAV show or other geomatics-related event in the industry.